ACK! I signed on as a back-up family to host a Russian orphan this summer, not really thinking that they would need to use me. 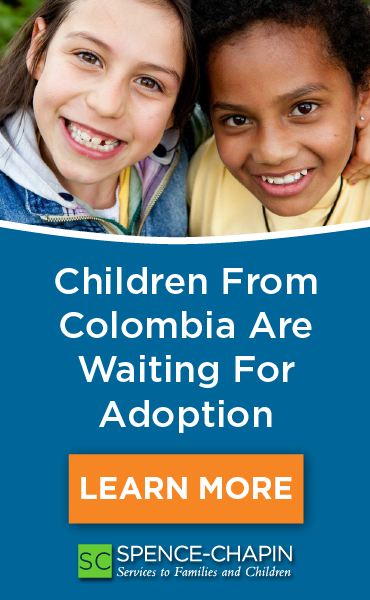 I figured they would have plenty of families that would sign up to host…and they did. However, at the last minute Russia decided to send an extra little boy, and guess who got called? And when I say last minute, I mean there were only two weeks before “Arrival Day” and I knew exactly “ZIP” about the Russian language! What’s a host mom to do? That was my situation last week. Now, with just one week before my 8 year old host-son arrives, I have learned basic greetings, a few phrases of comfort and how to ask if he has to go potty, or if he is hungry..all the really important stuff. How did I do it you may ask? It certainly wasn’t because I am a brilliant linguist. I took Spanish for 2 years in highschool and still cannot count above 10. I believe “linguistically challenged” would be a much better description when it comes to me. Blind luck is the answer. And one fantastic product that was sent to me to review. One of the fabulous perks as editor of RainbowKids.com, is that companies send me products to review. And I get to keep them, whether I write a review or not. Such was the case with a product called “Phrases for Children”. I received Russian Phrases for Children, in CD and handy pocket-sized booklet form, as well as the Ukranian version (it comes in Bulgarian as well). Taking a chance that I might be able to learn at least 10 words in two weeks, I popped in the CD and followed along with Marina and Sasha as they carefully coaxed me to pronounce the most basic of phrases any adoptive or host parent of an older child should know. “Kak tee?” Are you okay? “ho-chesh peet’?” Are you hungry? Suddenly, I’m feeling like a genius. Of course, my newfound self-image ends when I say to my 10 year old (we have 5 daughters from China and Korea) this morning “Do-brey-a ut-ra, Teresa!” (Good Morning!) and she answers with about 5 Russian words in response…the meaning of which I have no clue what-so-ever. Apparently she has been borrowing my CD. And not just her, either. My 12 year old, Katie, runs downstairs and asks if she may be called “Katarina” while the Russian child is here. “Umm, I guess.” I say, to which she replies, “Excellent, mom! I’ll tell him ‘meen-ya za-vut Katarina’ (my name is…) when he gets here, okay?” Wait a second. She’s learning Russian? I can’t get her to re-learn Mandarin Chinese and now she’s running around having Russian conversations with her Korean sister. My house has reached a new multicultural-high note. Or could it be that this is just too much fun? The truth is, Russian Phrases for Children IS FUN. And simple. Which is essential for me. This neat product isn’t about mastering the entire Russian language. You won’t learn to read and write it, either. 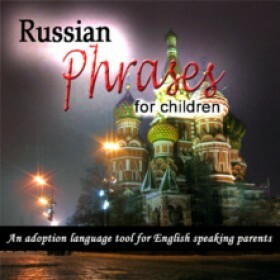 What you will learn are 200 basic words and phrases that include greetings, yes/no questions, directives, reassuring and affectionate words, as well as phrases and words that will help you to communicate about food, pets, toys and play, bedtime, family….it’s like Russian in a nutshell! And because the whole program is presented both on a professionally produced CD and with a pocket pronunciation guide (actually you get TWO guides with each CD), it can be used at home, in the car, on the plane to Russia and in the hotel room. 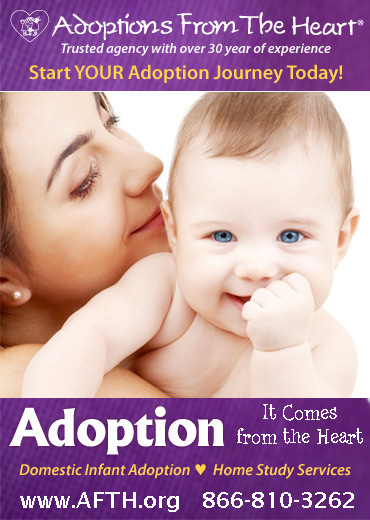 I want to thank adoptive father Fred Des Chenes for producing such an essential and professional product for families adopting Russian, Ukrainian and Bulgarian children. It will certainly help hundreds of children make the transition to their new homes much smoother. And it works wonders for host families as well! I just have one question, Fred: When will the Chinese and Korean versions be available?